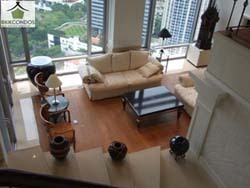 Bangkok Condos & Apartments since the last several years has evolved as the chosen company by foreigners and locals alike for Bangkok real estate transactions, more specifically for buying, selling, or renting condominiums and apartments in Central Bangkok. We assure you that our well established firm will always have something to show and offer you, and thus help save time and money during your search for the right accommodation in Bangkok. We take pride in saying that once you have found the perfect location, we will continue to support you to ensure that you settle down in your new home comfortably. This means that any help you may require in getting a phone line, a cable TV connection or an internet connection is readily provided by us. All these additional services we offer you are for free, and come with no additional charges. We do this because we know how difficult it can be to settle down in a new country and new place. Our values are hard work, absolute honesty, mutual respect, total reliability, excellent services, and 100% client satisfaction. Our vision is to provide our clients, who may be foreigners or local, buyers or sellers, tenants or travelers, with reliable and honest advice regarding the real estate properties of Bangkok; thereby becoming the largest real estate broking agency of Bangkok. Our mission is to provide excellent services to Foreigners and Thai citizens by honest and transparent deals in the real estate industry of Bangkok; thereby, gaining 100% trust, satisfaction, and confidence of our clients.